A lot of the more traditional approaches to cardio look at longer distances and higher volume as the best ways to get and stay in shape. While there is certainly nothing wrong with that method, I tend to take the “less is more” philosophy into my cardio training. This doesn’t mean I don’t lace up my running shoes as much as the next person; I simply have a much lower training volume than some people. I do this through High Intensity Interval Training (HIIT). HIIT is a type of cardio involving a specified period (generally short) of very hard activity followed by a short rest period. It’s a very effective training method, one that has helped my speed and endurance greatly over the past few years. Increased oxidative capacity. A muscle’s oxidative capacity is essentially its maximal ability to utilize oxygen in order to produce energy. It is a fancy term that basically says how much oxygen a muscle is capable of using at once. Research shows that runners can increase oxidative capacity, and thus overall endurance, in as little as two weeks of high intensity intervals. Prevent Boredom. If you’re like me, then a long distance run on the treadmill can get a little boring. Interval training not only requires you to change speed and intensity often, but also allows you the chance to get away from the treadmill altogether. Running tracks, public parks, and gymnasiums all provide a different environment to keep your training fun and interesting. Burn fat. Research agrees that the higher our exercise intensity, the more glucose we will burn during a workout. You might be asking: “Well, when does this ‘burn more fat’ come into play?” The answer is simple; at rest. Yes, while we are resting. In short, we lose a great amount of energy while burning glucose at high intensities. The thing most people do not realize is that we must replace this energy when we are done exercising. The fuel source for replacing energy?? You guessed it – FAT!! So, in essence, the more glucose we use during exercise, the more fat we burn following exercise! It’s challenging. Put down the magazine. Quit texting. The goal of interval training is to work as hard as you can the entire time. If you do that, you won’t be focusing on anything but your workout – which is the way it should be! Efficient. Interval training is efficient in terms of both time and injury prevention. Given that your intensity is at an appropriate level, you can get an effective interval workout done in less than 20 minutes. Because you’re putting in less time, you can avoid the constant pounding that miles and miles of distance running places upon the lower body. To give you guys a little idea of what a typical HIIT session looks like, I will leave you all with one of my favorite interval workouts. If you need some music for this workout, I’d recommend listening to “Go Hard” by DJ Prophecy. It’s an up-beat mix, which I prefer for interval training. It might take you a few sets to figure out what that speed is going to be if you’re on a treadmill, and that’s fine. Just make sure you are pushing yourself on each and every set in order to get the best results possible!! 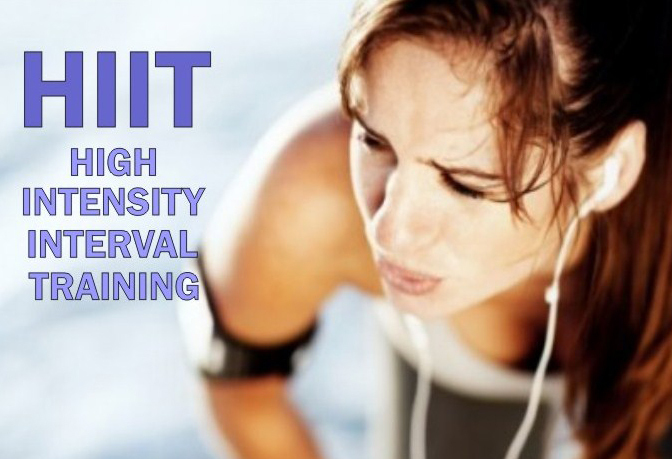 Have you tried high intensity interval training? If so, let me know what you think of it in the comments below.